This year has been special. Both work-vice and fishing-vice. Work-vice since I’m a new start up entrepreneur. And it has been for sure my dream for quite long time. Time will show where it will take me. But on a shorter perspective there has been some awesome results so far fishing-vice in my life. 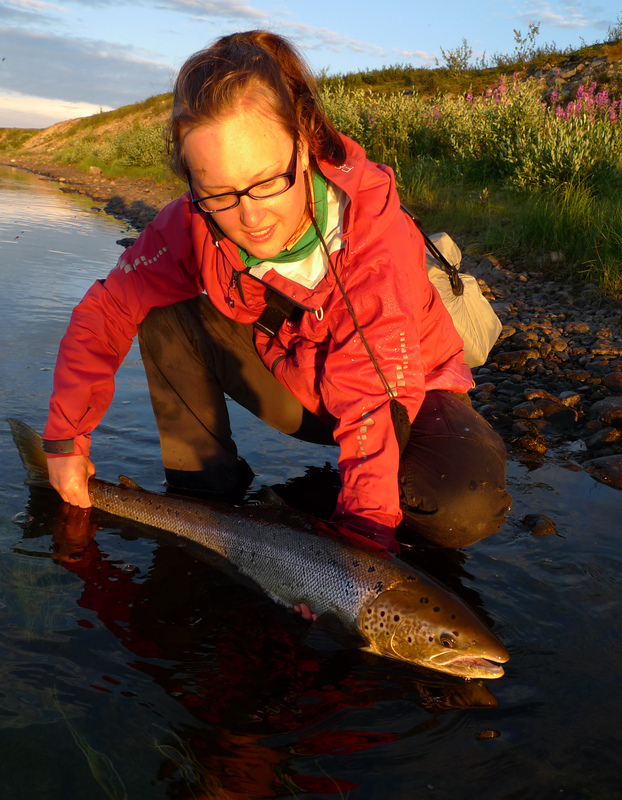 This year I’ve had a change to take few really special fishing trips. 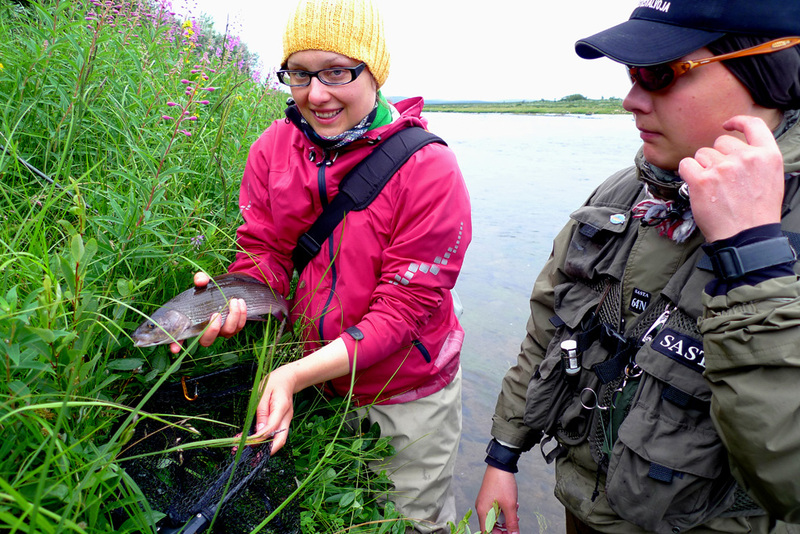 First of all, my first ever experience with a canoe combined to a lovely grayling fishing. 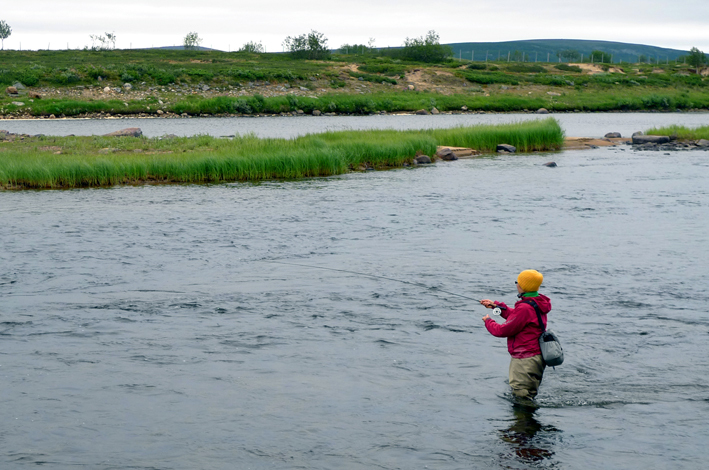 That was really interesting way of fishing as you get to cover a quite long part of a river and stop where ever it looks like a good place to do a few casts. The second ‘new experience’ was a trip to Estonia. For sure I’ve been there before, it’s right next door to Finland. But it has never crossed my mind that a city-break to Tallinn could include full day of fly fishing on a really beautiful river in the peace and quiet of nature. 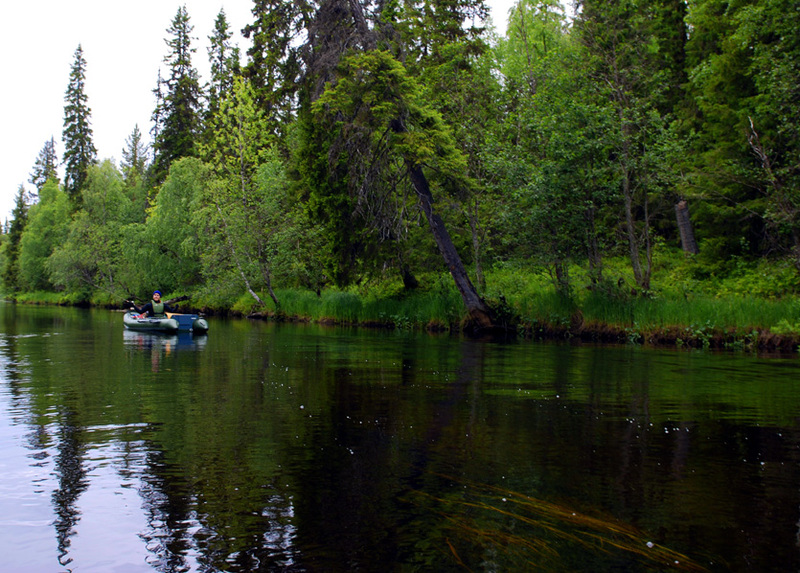 Estonia doesn’t have a reputation as a fly fishing target and the fly fishing culture there isn’t very strong. But I got some local knowledge and guidance to help me get started and I must say it was really interesting trip. With a bit more research I think it will make an interesting article for the Finnish magazine readers. After all, Estonia is right there in the neighborhood. After these two, plus few more other grayling trips there was one more trip to come. My top 1 expected and anticipated trip of the season. Every year we take a one week hiking to the wilderness and fishing with the family during the later part of the summer. 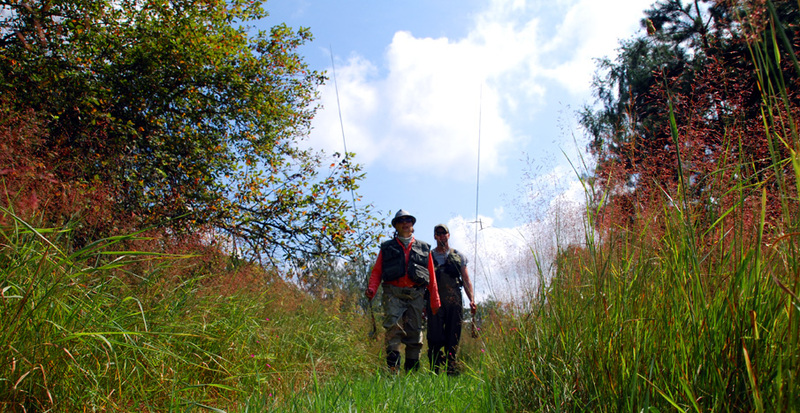 This was supposed to be the best grayling trip of the season. This was also supposed to be the one where there is not stress of taking good pictures, no stress of researching backgrounds for a story. This was supposed to be the trip that is just for me, for fun and relaxing. Plus the mega bonus on the last night. My first ever SALMON! I’ve learned long ago that fish are always so tough to get to cooperate. When you are ready with your camera and you need them to bite, they rarely do. Therefore, I’m still amazed that how is it even possible that when the light is perfect as the sun is setting. When the whole crew is at a yelling distance. When you think just to do a few casts with a spinning rod on a last night before heading to tent to get a good night sleep before the hike back to civilization. That’s when it bites. 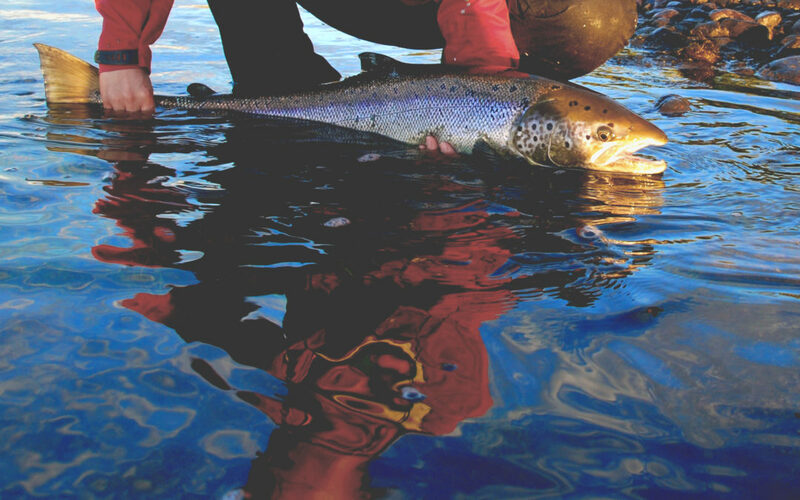 The huge 10kg salmon, that will pull the line like a submarine, that would jump out from the water in the perfectly still evening river. The one that makes you scream from excitement like you have lost your mind. Yet, it did. My first ever salmon. This is why you gotta love fishing. It’s just too absurd.